An expert in body care for over 40 years, PHYTOMER has distinguished itself with natural, high-performance products that reveal the body’s natural beauty, day after day. Using a body skin care exfoliant once a week removes dead cells, softens the skin and optimizes the benefits of body skin care products applied thereafter. This rich cream exfoliates the skin leaving it extremely comfortable thanks to its oil finish. The skin benefits from all the moisturizing properties of the Glasswort Oil, which envelops the skin in a fresh scent. PHYTOMER moisturizing body skin care are both effective and enjoyable to use, for soft, hydrated skin. Each moisturizing product has a particular texture (oil, milk, cream) for customized hydration. Enriched with the most precious marine oils, this melt-away cream delivers a source of intense moisture to your skin and reduces the signs of time. Skin is left supple, relaxed and infinitely soft. Day after day, the body looks younger. PHYTOMER extends its beauty expertise with this Gentle Illuminating Shampoo. Formulated with a complexe of marine plants, algae and vegetal oils, its benefits are visible from the first shampoo. Gently cleansed, the hair are supple, shiny and light. PHYTOMER extends its beauty expertise with this Gentle Detangling Conditioner. Formulated with a complexe of marine plants and a vegetal oil, its benefits are visible from the first use. Gently detangled, the hair regain softness and shine. The legs require their own special care. 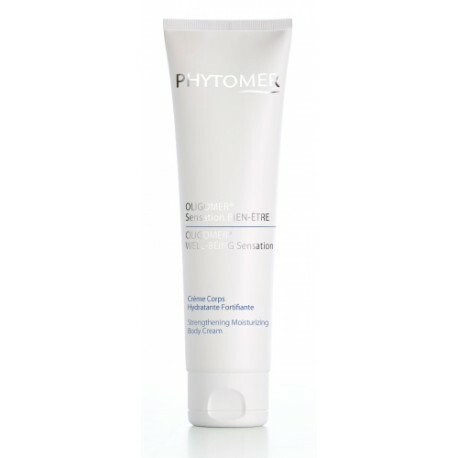 PHYTOMER offers a beauty solution to embellish and refresh your legs daily. This refreshing gel brings greater leg comfort and an immediate feeling of well-being while toning and relieving tiredness of the skin. A beauty elixir for the face, body and hair.